It took me 683 commits to write the first draft of Effective Python over the course of 132 days (~4 months). That includes all the work for tools I built, the website, notes, and code examples. I've been storing the content in a private GitHub repo. Here are some fun metrics from it. 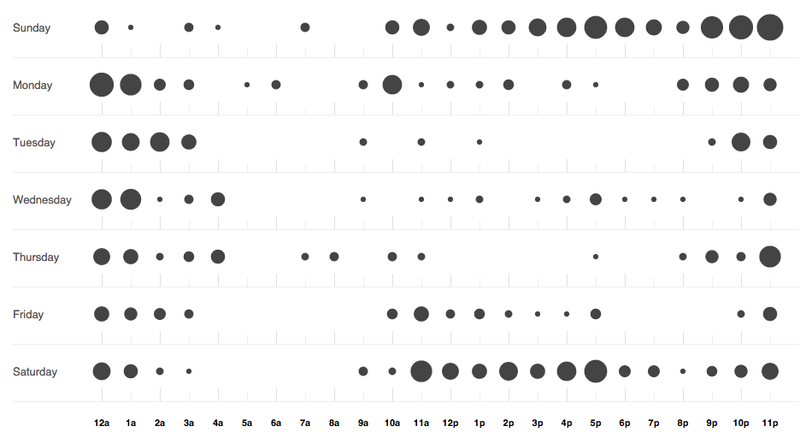 The majority of my commits are on the weekends. I was offline quite a lot in September. Clearly I have been staying up way too late working on this thing. What will be interesting is how many commits it takes to do revisions and get the book into a publishable state.